The LIFE Programme is the only financial instrument of the European Union that is exclusively dedicated to the environment. Its overall objective for the period 2004 – 2020 is to contribute to sustainable development and achieve the objectives and goals of the Europe 2020 strategy and the EU’s strategies and plans related to the environment and climate. Natura 2000 is a network of areas of high ecological value and is the main instrument for the development of European Union policies focused on guaranteeing biodiversity conservation, placing special attention on the most threatened habitats and species of plants and animals…. Natura 2000 is the result of the application of two EU directives: The Directive 2009/147/CE of the European Parliament and Council of 30th November 2009 relating to the conservation of wild birds and the Directive 92/43/CEE of the Council of 21st May, relating to the conservation of natural habitats and wild fauna and flora. Currently in Extremadura there are 89 Special Areas of Conservation (SAC) established in agreement with the Habitats Directive and 71 Special Protection Areas for birds (SPA) designated under the Birds Directive. The Natura 2000 network in Extremadura is regulated by the DECREE 110/2015, of 19th May. Extremadura is the only region in Europe with Special Protection Areas for birds (SPAs) in urban sites, with a network of urban SPAs in our region currently covering 23 areas of which 21 are wholly urban. Of these 21 areas, 19 have been declared as such because of the presence of lesser kestrels (Falco naumanni), supporting more than 50% of the Extremaduran population of this small raptor. It is these urban SPAs that have been declared because of lesser kestrels that this Life project ZEPA-URBAN aims to address. Of the 19 urban SPAs declared because of the presence of lesser kestrels, 9 are in Cáceres province and 10 are in Badajoz province. As well as the presence of this bird of prey, all also have in common the fact they are in towns and cities with an undoubtable heritage value. Indeed, of the buildings listed as of cultural interest (Bien de Interés Cultural BIC) in Extremadura at least 30 support lesser kestrel colonies and lie within an urban SPA. As well as the urban SPAs, the Life project ZEPA-URBAN includes within its scope another area in the Natura 2000 network. This is the SPA-SAC “Orellana Reservoir and Sierra de Pela”, which although has not been designated specifically for the presence of lesser kestrel colonies, it does include a small part of the urban nucleus of Puebla de Alcocer (Badajoz province) where there is a colony of lesser kestrels in the Convent of the Visitation. The General Directorate of the Environment is part of the Council of the Environment, Rural, Agricultural Policies and Planning of the Government of Extremadura, and is the department responsible for the development of legislation and its implementation related to environmental protection, as established in Article 8.8 of the Organic Law 1/1983 of the Statute of Autonomy of Extremadura. The General Directorate of Libraries, Museums and Cultural Heritage (DGPC) of the Government of Extremadura has as one of its fundamental missions the protection of the historic and cultural heritage of Extremadura. This includes the conservation, rehabilitation and maintenance of heritage sites, carrying out architectural interventions such as restoration or repairs of roofs and treatment of cavities in facades. This responsibility covers historic urban centres hosting many of the lesser kestrel colonies. The Council of the Economy and Infrastructure, as set out in the Decree of the President 19/2011 of 8th July, has legislative and executive competency in the promotion and planning of tourism in the region of Extremadura, with the General Directorate of Tourism the regional authority responsible for this. It is responsible for the strategies of promotion and commercialisation in key markets and sectors, in which is included birdwatching. INTROMAC is an administrative consortium linked to the regional public sector, whose mission is to improve the competitiveness of businesses in the construction and ornamental rock sectors in Extremadura through technological support, research and development projects and sharing scientific and technical know-how. INTROMAC’s technicians and teams will look at the materials used for lesser kestrel nest boxes, with the aim to make them lighter and more durable than those currently on the market. 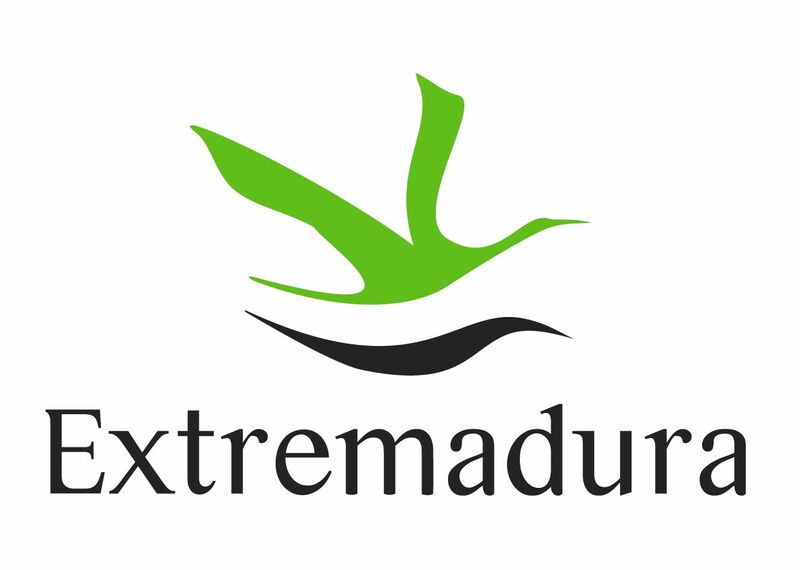 Extremadura 2002 is a business with more than ten years of experience dedicated to the manufacture and sale of products made from imitation wood cement and artificial stone used as structural and decorative components in house-building. Their experience in producing new materials is key in order to obtain the best nest boxes for lesser kestrel, therefore achieving a product which is adaptable to the needs of the species, long-lasting and at the lowest possible cost. Laruinagrafica is a creative and polyhedral studio which has been working professionally since 2004, offering analysis, creation, communication, publication and dissemination of all types of theme, with a focus on tourism and environment. The TERRA NATURALIS association is a non-profit organisation focused on nature conservation and the promotion of demonstration projects, cultural heritage and sustainable development. They have considerable experience in census work, monitoring and conservation of threatened species and have carried out much work linked to lesser kestrels. DEMA is an NGO founded in 1990 with the objective to protect natural spaces and build public awareness towards the need to conserve them. It has specialised in the conservation of lesser kestrels, especially with captive-breeding, management of introduction and reintroduction.